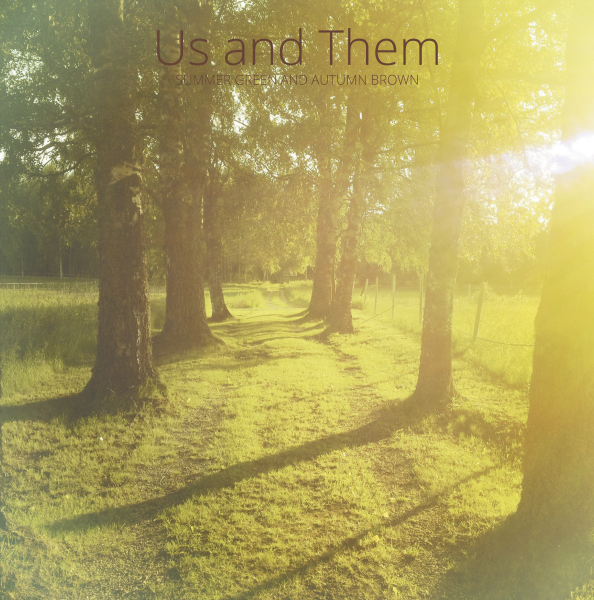 After a string of EPs and compilation appearances on Fruits de Mer, Swedish duo Us and Them release a full album’s worth of original tunes, Summer Green and Autumn Brown. Both the LP and CD are limited editions of 250 copies each. Also available as a Bandcamp exclusive are 100 sets of a 4 CD package including the band’s past FdM releases plus the new album. And if you wait too long and can’t snag a copy, you can always listen to the album on Bandcamp. Now to the music, Britt and Anders continue their exploration of acid-folk, psych, and gothic psych. If you are familiar with their cover tunes on FdM, you will be thrilled with Summer Green and Autumn Brown. The opening bucolic instrumental, “A New Beginning,” is an apropos title for a collection of original songs. “We are Sacred” is an excellent acid-folk song with electric guitar, synths, and a tasteful harpsichord line at the end. Some songs feature simple melody lines, and others like “Another View of Us” contain beautiful melodic harmonies. I particularly enjoy “Me and My Mission” with its strong vocals and melody, plus there is some violin sneaking up at you in the middle. Then of course there is the epic “From the Inside, Looking Out” that also contains the lyric that forms the album title. This song is dark and eerie; the vocals alternate between sinister and melodic forming a gothic love song of sorts for the end of summer. And the album closes with “Insight,” a song with a pleasant mix of acoustic guitar and synths, perfect for a summer’s eve. Now that Us and Them have joined the Mega Dodo team, I hope that we will be hearing much more from them.